Before people are ready live on Mars for an extended period of time, we first need to figure out where they’ll live. 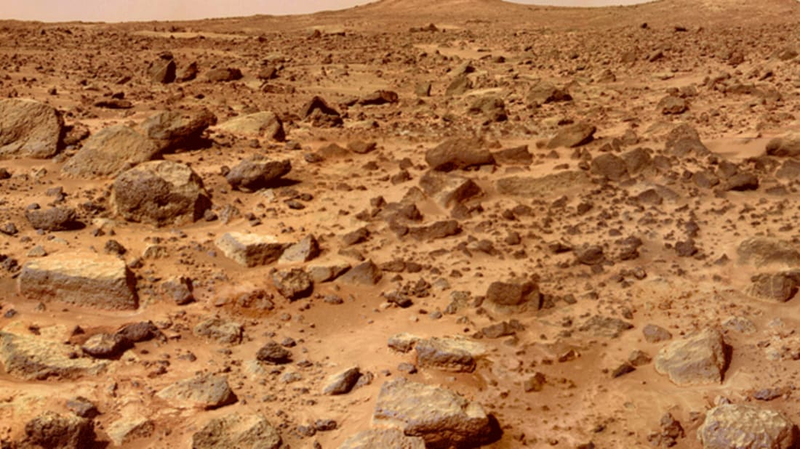 A group of researchers believe they’ve found a way to make building materials from components readily available on the red planet. In a recent paper, Lin Wan, Roman Wendner, and Gianluca Cusatis of Northwestern University reported their novel idea for creating a sort of Martian concrete out of local materials [PDF]. They developed their material from synthetic Martian soil, composed of silicon dioxide, aluminum oxide, iron oxide, and titanium dioxide—all known to be on the planet's surface—and molten sulfur. (Abundant on Mars, sulfur's use as a molten bonding agent goes back to ancient India, Greece, China, and Egypt, the authors noted.) Together, the ingredients form a concrete the team claims could be used to build an entire village. Unlike traditional concrete, this new type of material doesn’t require water to make. Most of the limited water that’s located on Mars is frozen, so finding ways to build without it will be useful for any future human visitors. The material has the added benefit of being completely reusable, so it can be melted down and molded into a new structure whenever needed. Its composition also holds up against salt, acid, and extreme cold. Last year, NASA sent out a call for 3D printable designs of habitats that could be used during extended Mars missions. Most of these concepts also proposed taking advantage of the planet’s soil to create building materials, but this marks the first time such a plan has been presented in detail.